Just need a little extra control? Check out these stubby bar ends. They're made from 1-piece forged aluminum and weigh in at a scant 111 grams per pair. 95mm long. Got these as a cheap way to try mounting barends on the inside for added hand positions. They work great and are very well built! Yes bar ends seem to be un-cool now a day....but I still find them extremely useful. The Stubs Bar Ends are great! Small enough not to look like a texas steer coming down the trail, yet just the right size for grabbing onto during tough climbs. Not to mention they make great deflectors for those trees that like to jump out from the sides of the trail. I just got back into riding since college. Back then, bar ends were huge. I use them a lot but wanted something a little smaller. These bar ends fit the bill nicely. Although bar ends seem to be out of style, I have been using them for the past 20 years. They give you an alternate hand position and are great for climbing. These bar ends are well constructed and a good value. 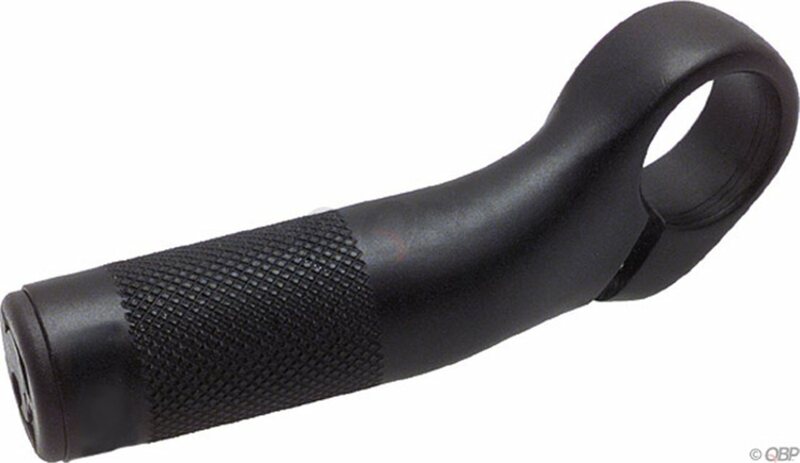 I was looking for stubby bar ends that would not impact the bike weight or look too unwieldy while still giving me a more powerful hand position for climbing. These do exactly that. I don't know the weight of these, but I'm sure there are very thin walled, hollow aluminum models that are slightly lighter. Still, these feel light to me and I don't feel they impact the bike weight at all. Certainly, the power and stability I gain on climbs far outweighs any weight increase from the addition. I was already considering it, but these made it an easy choice to switch to 1x9 setup losing my front derailleur, shifter and cable, so I actually netted a weight loss. I have so much more power on climbs, I never miss those lower gears. These have a pattern scored into the surface to improve grip. Direct comparison to a friend's smooth bar ends makes me very glad for this feature. Even with gloves on, the smooth bars are a little too slick especially on cool, dewy mornings. In summary, I love these things. For the price, this is a no-brainer addition for anyone wanting more climbing stability and power. I have a set of these on my mtb and my singlespeed (with a flat bar) and they are awesome. I forgot how awesome it is to climb with bar ends, it gives you a more natural hand position when climbing and gives you so much more power and stability. Ya, they aren't cool, but on long rides the alternate hand position is a nice relief and the power for climbing is great. They are small so they don't look too obvious on the bike. 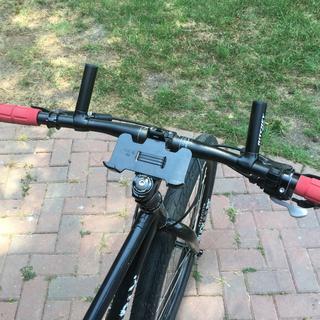 I put these on my folding bike so I'd have an extra hand position. I chose them because they are short and I hoped it wouldn't add an extra step to folding, and it didn't. I wish that the knurled surface extended the entire length of the barend, as they become slippery in rain or sweat. They are quite small and I'm not sure I'd recommend them for a regular bike where space is less of an issue. A little shorter than I expected, but easy to put on and a good value. Nice to have the extra hand position for bikepacking. I started mountain biking during the 90s in the hills of WV. Lot's of roots and mud.. Bar ends gave me the extra control that I needed to distribute my weight properly and maintain traction. These however are way too short to be effective.